This is my last post for today. I made some other purchases so thought I'd put these together in one post. 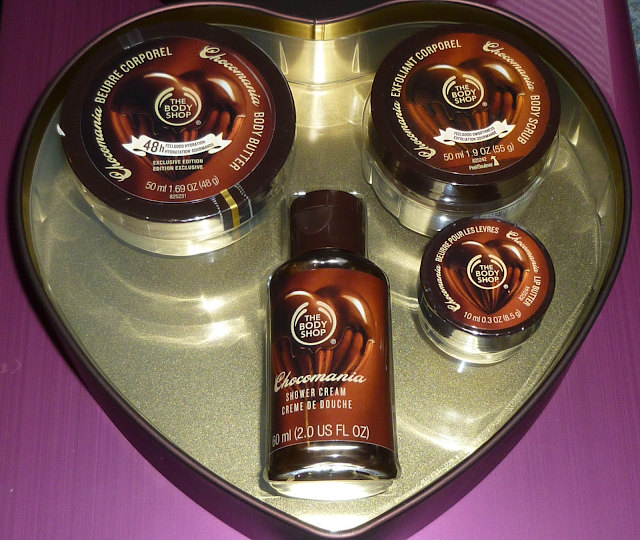 First up, a new range from The Body Shop - the Chocomania range. I had a sniff of the Body Butter last month before it was available to buy and thought it smelled amazing! I got an email about a deal The Body Shop have on their website until 20 February 2012. If you're planning on spending quite a bit there it's worth knowing that you can use the code FABULOUS to get £10 off £30, £15 off £40 or £25 off £50. I was so tempted to make a £50 order last night but I stopped myself as all I really wanted was the chocolate stuff! I also bought a few pairs of shoes from New Look for when the weather gets a bit nicer. 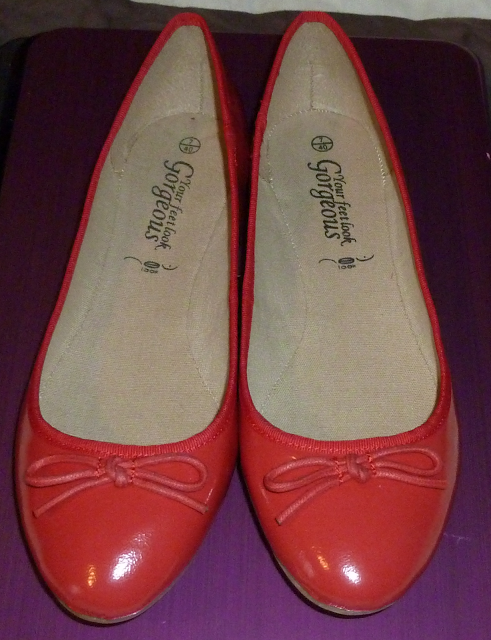 These tomato red ballet pumps were only £12.99 and I really like them as they are nice and flexible. I hate it when the backs of pumps are really stiff as they cut into my heels :( These seem nice and comfy though. 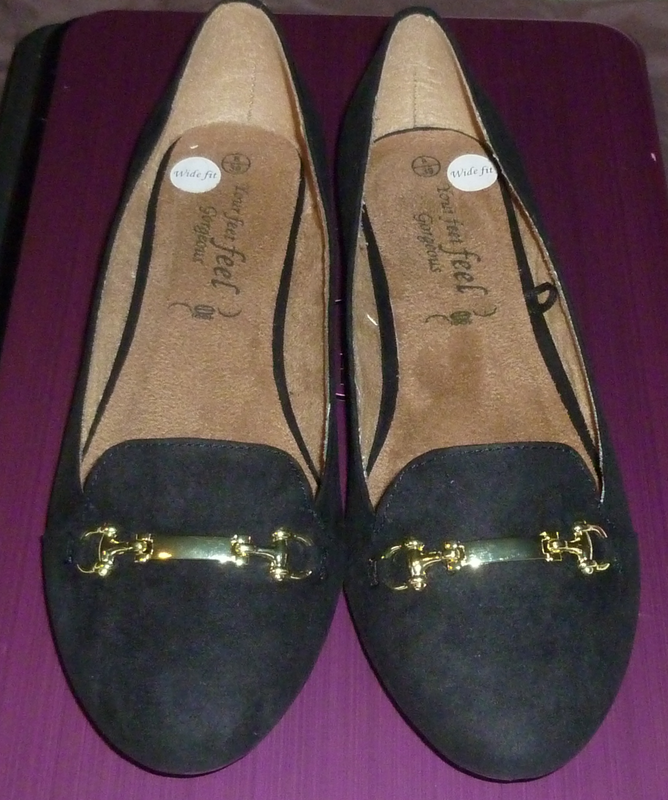 I also bought these black faux suede slipper style shoes. I think I will wear these for work as they are quite smart. 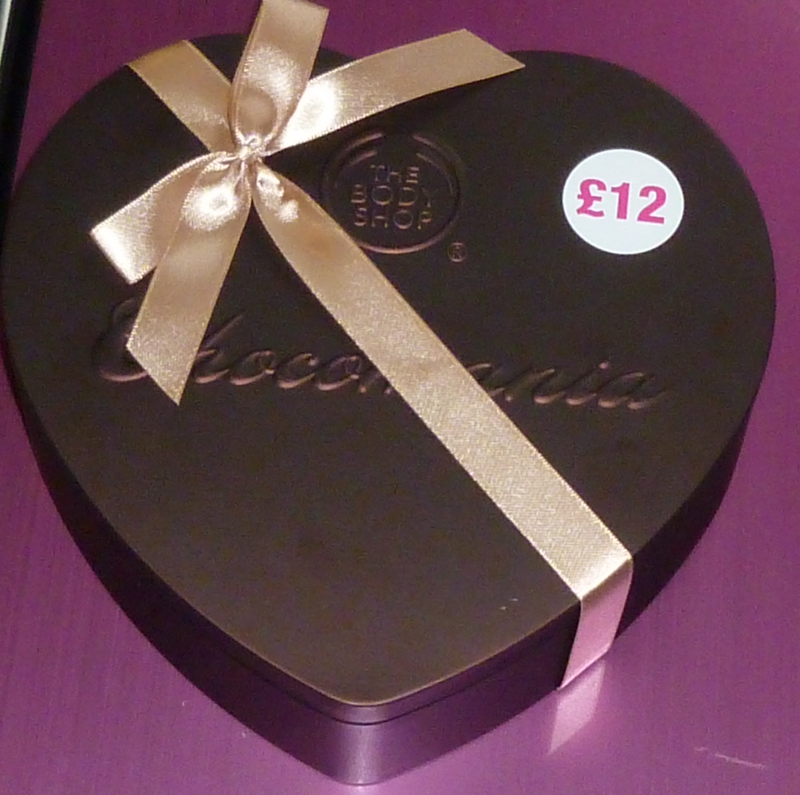 These were £17.99 which is also a great price.